We are available anytime, 24/7! Soak in the views as you cruise some of British Columbia’s natural beauty and ride in luxury to Canada’s legendary Whistler Blackcomb. A full day adventure awaits you as you cruise up the Howe Sound, by classic Chris-Craft Constellation motor yacht, visit BC’s third tallest waterfall and take a 45 minute drive in style from Squamish to Whistler. Choose to top your experience with the scenic Peak to Peak Gondola. Your fully guided tour from Vancouver will get you panoramic views of the rugged shoreline, stunning mountain scenery and wildlife along the way. Your trip includes transportation by land and sea and breakfast aboard the yacht. On this full day adventure explore British Columbia by Sea and by Land. Charter our classic Chris-Craft Constellation motor yacht for up to 12 passengers and come explore the blue waters of the Howe Sound and travel in luxury along the Sea to Sky Hwy up to Whistler! Board the charming Yacht with rich mahogany wood finish, in downtown Vancouver. Be welcomed by our friendly crew offering gourmet coffee & tea, famous Montreal bagels, delicious muffins and fresh seasonal fruits. Cruise under the Lions Gate Bridge, seeing the stunning Vancouver downtown skyline from the water. 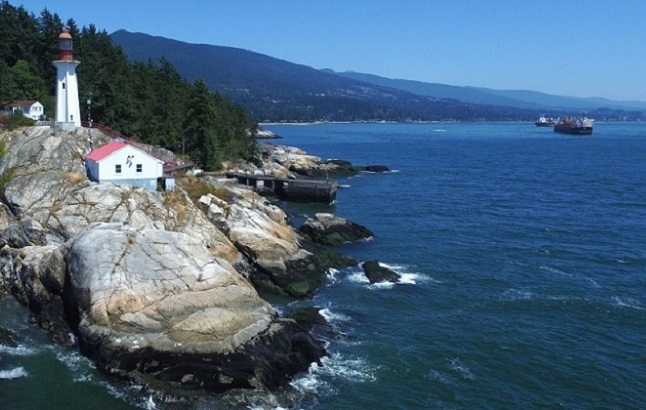 Discover British Columbia’s beautiful seaside landmark as you cruise past Point Atkinson Lighthouse, where we have a good chance of seeing orca whales, humpback whales and grey whales. Head up the rugged shoreline to Squamish located at the northern tip of the Howe Sound and surrounded by mountains like the Stawamus Chief, a huge granite monolith. There you’ll meet your driver at the dock who will transport you by Mercedes Van to the nearby Shannon Falls BC’s third highest waterfall. Take a 10-minute stroll through the Provincial Park to view the towering waterfall cascading down a series of cliffs. Your journey continues north as you ascend 2,000ft making your way towards Whistler home of the 2010 Olympic games. 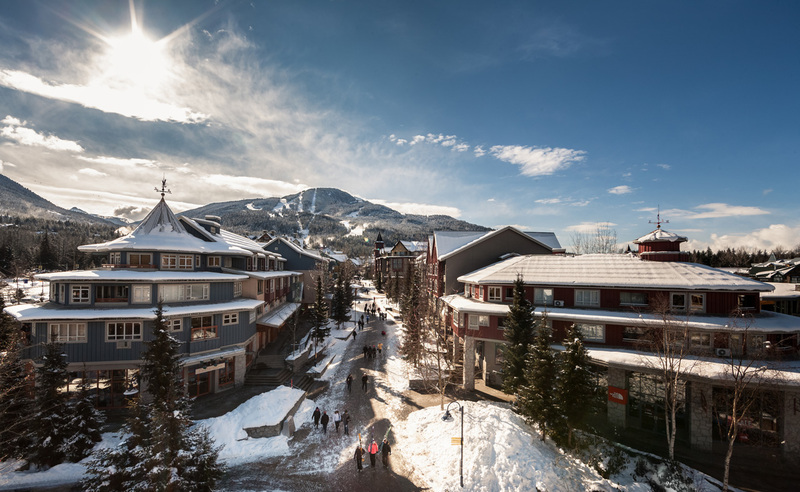 Once in Whistler enjoy 4 hours at your leisure to explore Whistler village. You may choose join one of the numerous optional activities (fees not included) such the high speed Peak to Peak Gondola, take a zipline tour through the alpine forest or explore the mountains by ATV. After enjoying the hotspots and must see’s along the Sea to Sky, you will take a relaxing drive back to Squamish where we will lift up the anchor and set sail back to Vancouver arriving around 6:30pm. Book your Cruise the Sea to Sky & Explore Whistler Tour with Alpine North Limousines Today! Alpine North Limousine provides private transportation between Vancouver Airport and Whistler, as well as private sightseeing tours.